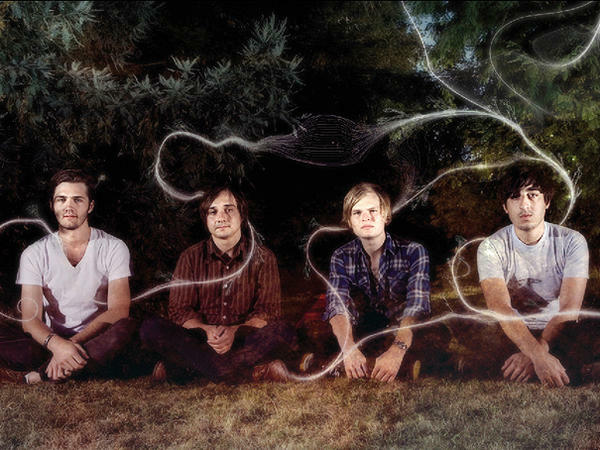 ◊ Shields, the fourth and most fluid album by Grizzly Bear to date, will be released on Sept. 18, 2012. The quartet of Chris Bear, Ed Droste, Daniel Rossen and Chris Taylor have never made a quick follow-up; it took them three years to get from Horn of Plenty to Yellow House, three more to get from Yellow House to Veckatimest. Between those records, though, they'd not only toured (headlining as well as with the likes of Radiohead, Feist, Wilco, TV on the Radio and more), but issued singles and splits, EPs, remixes and solo projects. The potential energy gathered in tour vans and busses, in studios and on stages for years was finally released, giving the individual band's pieces the chance to recover and, after a year, return to being Grizzly Bear, and delivering their best album yet. ''This has a different energy behind it,'' concludes Ed Droste. ◊ ''Veckatimest was a little more of a polite album; the desire to keep the vocals smooth might have kept a little distance between us and the audience. This one feels a bit more rough and exposed, so that on Shields, everything speaks for itself.'' -- This text refers to the Vinyl edition. ◊ Department of Eagles released their second record In Ear Park in October 2008. The album featured Chris Taylor and Christopher Bear of Grizzly Bear, and was dedicated to Rossen's late father. ◊ In 2012, Rossen released a solo EP, Silent Hour/Golden Mile, Warp Records (March 19, 2012). ◊ Rossen is the grandchild of famed director Robert Rossen, who directed the Oscar-winning Paul Newman drama The Hustler and the original All the King's Men. ◊ Drummer and multi-instrumentalist associated with the Brooklyn-based indie-rock group, Grizzly Bear. ◊ Bear joined the group with singer Ed Droste for contributions on their first record, Horn of Plenty. He also contributed to Earl Greyhound's self-titled EP in 2004. 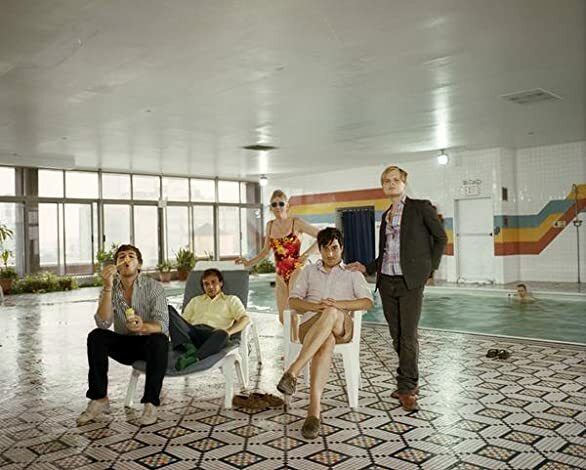 ◊ Grizzly Bear began as a home recording project for Boston-bred experimentalist Edward Droste, the son of an elementary school teacher, who laid the groundwork for the band's otherworldly debut album on a small hand-held tape recorder while holed up for 15 months in his Greenpoint, Brooklyn, apartment. His homespun D.I.Y. effort took on new life with the help of multi-instrumentalist Christopher Bear, a Chicago native who had worked in a diverse range of musical projects ranging from laptop electronica to free jazz, who added additional instrumentation and vocals to Droste's stripped-down sonic blueprints. ◊ The resulting album, Horn of Plenty -- a pet project originally meant only for Droste's friends -- eventually circulated through New York's underground music scene, with its unique blend of acoustic instruments, layered vocals, and found sounds earning comparisons to alt-rock heavy-hitters such as Sigur Rós, Sufjan Stevens, and Animal Collective. Originally released to little fanfare in 2004, the album gained momentum thanks to copious touring, with Chris Taylor joining the band on reeds and electronics, and Daniel Rossen providing additional guitar and vocals. It was reissued in 2005 as a two-CD set featuring remixes by Dntel (of the Postal Service), Final Fantasy, Solex, and the Soft Pink Truth (aka Drew Daniel of Matmos). An album of Droste's early demo recordings, Sorry for the Delay, was released in 2006 as the band finished up recording Yellow House, their second proper full-length album. Warp signed the band that spring and released Yellow House that fall. A year later, the Friend EP, which featured cameos from Beirut, CSS, and Band of Horses arrived. For 2009's elaborate Veckatimest, the band collaborated with contemporary classical composer/conductor Nico Muhly, Beach House vocalist Victoria LeGrand, the Acme String Quartet and the Brooklyn Youth Choir. 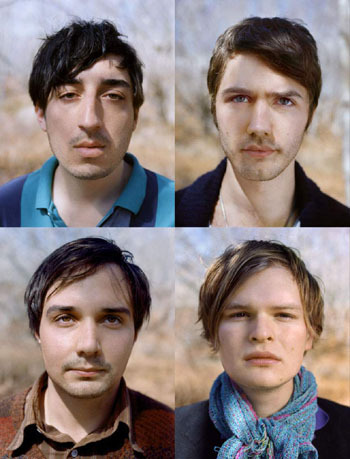 ◊ Original member of the Brooklyn-based indie-rock group, Grizzly Bear. The group began as the solo effort of Droste with the release of 2004's Horn of Plenty, originally released on Kanine Records. All songs were written and performed by Droste. By 2005, the group expanded into a four-piece, with Droste still as a contributing songwriter. ◊ Taylor is a 2004 graduate of New York University. He joined Grizzly Bear after their first release, Horn of Plenty. His contributions to the band's sound since then have varied, and he has become the band's producer since their second album, Yellow House. In live performances, Taylor frequently switches between playing the bass, clarinet, flute, saxophone and sometimes the accordion. He also contributes vocals on most songs. ◊ In mid-2009 Taylor founded Terrible Records with label partner Ethan Silverman. The label was begun in an attempt to spend more time working with and giving exposure to other artists through the release of a number of 7" and 10" EP's. Some of the releases will be his own solo material which will be released under the moniker CANT. His debut solo cd "Dreams Come True" was released September 13, 2011. ◊ "Blackcurrant Jam" appeared on Worried Noodles, released by TOMLAB on October 23, 2007. ◊ "Don't Ask" from Horn of Plenty appeared on a 7" in Tomlab Records' Alphabet Series.